Because most religious artists were European, it is not surprising that they portrayed Mary as looking like the people they knew; they were not trying to create a photographic replica of Mary of Nazareth but to appeal to the religious sensibilities of those most likely to view their work. There is, of course, a range of artistic works that do portray Mary with non-European features. Probably the best known of these is the image of Our Lady of Guadalupe. 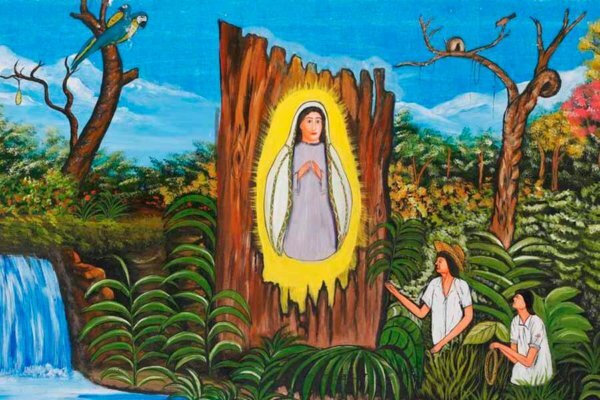 In 1531, Mary appeared to an indigenous named Juan Diego on a hill outside Mexico City. When the local bishop was skeptical and asked for a sign, Mary directed Juan Diego to collect roses in his cloak and bring them to the bishop. As he unfolded the cloak, dozens of roses fell to the floor and revealed the image of Mary imprinted on the inside — with the dark skin of the indigenous people. Q: My 23-year-old daughter has recently gotten engaged to a very nice young man. Our family had been planning the wedding, but I began to notice some reluctance on my daughter’s part. After a frank discussion, she admitted that neither she nor her fiance have any wish to be married in the Catholic Church. Both of them have issues with the church, particularly with regard to gay marriage. This is breaking my heart and upsetting my husband as well. I cannot find any clear answer on whether we are allowed to attend her wedding next year; the articles I have seen from religious sources seem to differ in the guidelines they offer. A: The first thing I would want is to have your daughter and her fiance talk with an understanding priest over their concerns with some of the church’s teachings. 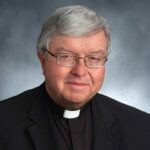 He might be able to help them sort out whether their issues are fundamental enough to forgo the strength of the sacraments and the comfort they may once have felt with the church’s prayers and practice. If that suggestion doesn’t work and they still decide to marry outside the church, I believe you should feel free to attend the wedding. No doubt, you and your husband have made clear to your daughter your own feelings: the joy and security you experience from the Catholic faith and your hope to pass that on to your daughter as a lifelong gift. As you said, she is your daughter, the child of your love. Not to attend the wedding, in my view, risks a permanent rupture and could eliminate any chance of her returning to Catholic practice through your gentle example. Read more Question Corner here.